The campaign includes a video that depicts Weather Channel personalities attempting to present forecasts while people dressed in chroma key body suits “mess” with them. 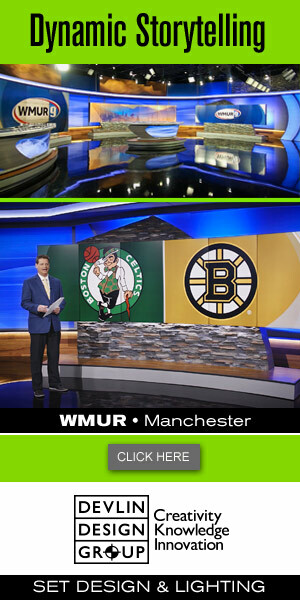 Since the suits match the green screen behind the forecaster, the figures are invisible to the viewer — and the figures take full advantage of that by invading the talents’ personal space and making objects seemingly float around them. The video is interspersed with wide views of the studio without the key where the forecaster, costumed people, chroma key wall and monitors are visible.